Mark Duggan (percussion) and Kent Teeple (viola). of tunes and arrangements. " unconventional line-up of cello, viola, guitar, bass, and drums. Very highly recommended for trad fans and reformers alike." 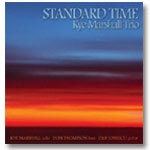 Marshall's latest CD of jazz standards includes: Have You Met Miss Jones, Girl From Impanema, My One and Only Love, How My Heart Sings. Here's That Rainy Day, Dolphin Dance, Summertime, Windows, ' Round Midnight, I Remember You. 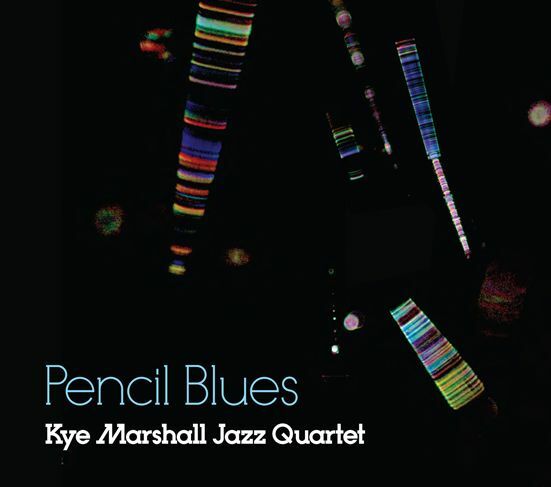 "Her solo abilities and capacity for creative interplay match her skills as a composer and explain why she is able to sustain a level of brilliance and commitment throughout an impressive, all original program"
Kye Marshall’s first CD of original jazz compositions featuring Kye Marshall (cello), Don Thompson (piano), Kevin Barrett (guitar), Andrew Downing (bass) and Anthony Michelli (drums). "WINTER'S END is a sophisticated, immaculately produced and passionately delivered collection of Marshall's compositions. " Winter’s End is available at major record stores.